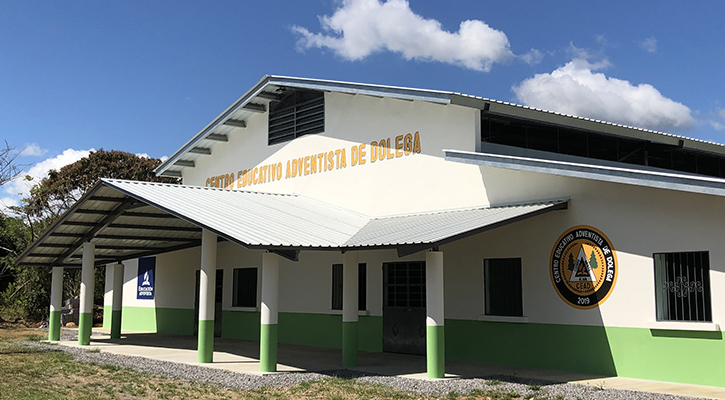 On February 22, 2019, the 10-classroom Centro Educativo Adventista in Dolega, Panama, will be dedicated. This brand new campus is the only Christian school in the region. A total of nine volunteer groups helped build the structure, which includes staff offices, bathrooms, and a central auditorium that can be used as a meeting space or gymnasium. The master plan for the campus includes secondary school buildings, administrative offices, a parking lot, and a soccer field, which the school plans to add to over time. The campus is located directly on a main highway going from the city of David to the town of Boquete, and leaders are excited about the exposure. The local conference has already invested in the new structure by applying tile flooring and false ceilings. Maranatha’s presence in Panama dates back to 1980, when a group of volunteers helped build a dorm at a school in La Concepcion. Since then, Maranatha has organized approximately 70 projects in the country, building churches, schools, and other renovation work. Get a taste of what you'll experience!